Maillefer announces new features for its PML extrusion lines for the production of medical intravenous PVC (IV) tube. Thanks to cooperation with the world’s leading medical device manufacturers, innovations on tube surface finish and for conditioning have been brought about. Advantages are speed increase and product optimization that are carried over to the manufacturing processes located downstream. A smooth and glossy IV tube surface may be appealing but it has the undesirable effect of surface tackiness, which is accentuated when conditioned on coils. The winding and later unwinding operations are slowed as a result. Maillefer has added features to its extrusion technology that result in a tube surface with lower adherence. The positive gain is felt on the extrusion line speeds and on the following operation being sourced with coiled tube. Three conditioning possibilities are available from the line: a full length coil, a multiple length coil, and individual cut lengths. The classic method calls for tubes of long length wound into coils through use of a fully automatic dual coiler at the end of the extrusion line. The delivered coil then needs to be unwound and cut into individual lengths during the assembly step. Another solution is to deliver short lengths produced directly on the extrusion line with an integrated cutting machine. The third solution innovates by combining both methods. Here, short tubes are prepared online, while maintaining a tractable tube for coiling. 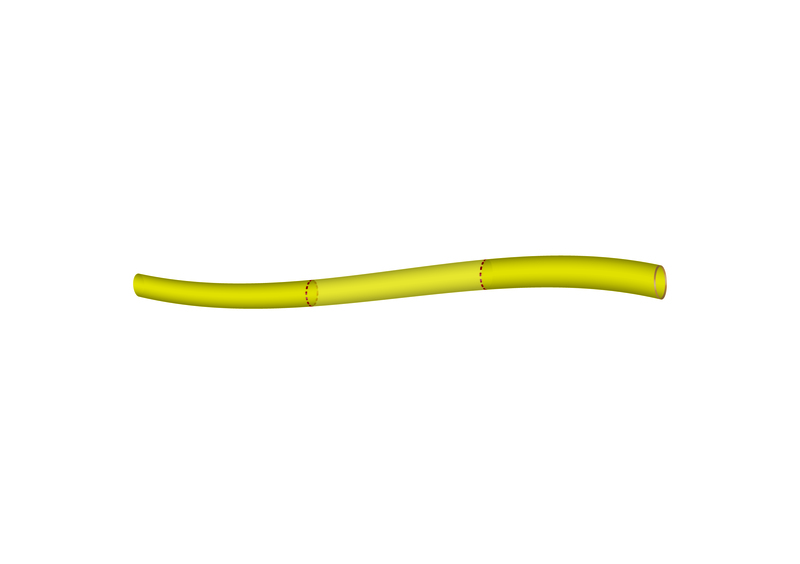 The advantage is having easy-to-handle coils while delivering tube that is easily separable. Maillefer’s PML 032 line is geared for a speed of 300 m/min. Manufacturers’ typical tube constructions are produced at 200 to 240 m/min. The line operates at constant speeds, even during coil transfers. Available control features include process monitoring, data logging, event alarms, recipe storage, scheduler, report generator and video monitoring. The entire line is designed and built to the strict requirements of the medical device industry.